Hello there! It´s Vania here, today i´m sharing two different projects, a layout and a card. 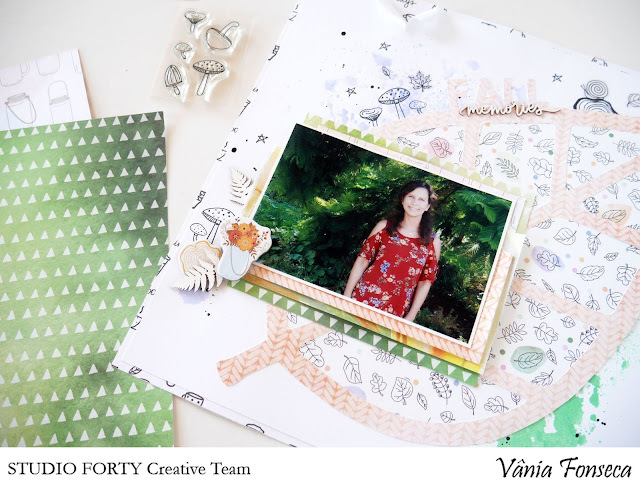 In both projects i´m using the Magic Fall collection, so let me share the layout first. 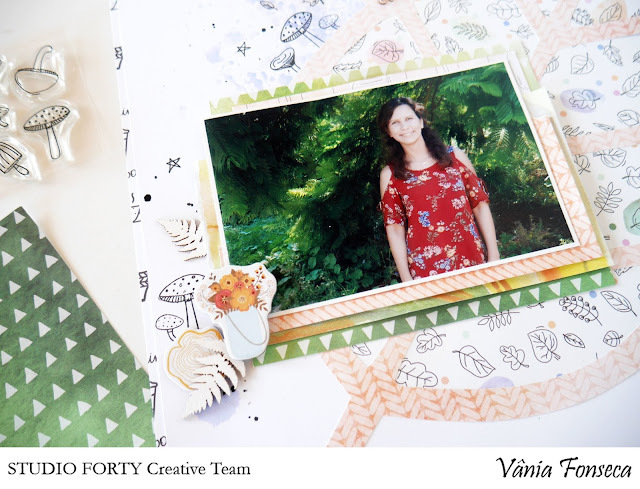 In this one i´m using a free cut file from Paper Issues, you can download this cute file here. It´s a big and bold leave, that i cut with my Silhouette Cameo. I choose one of the pattern papers from the collection and then backed with a different pattern. 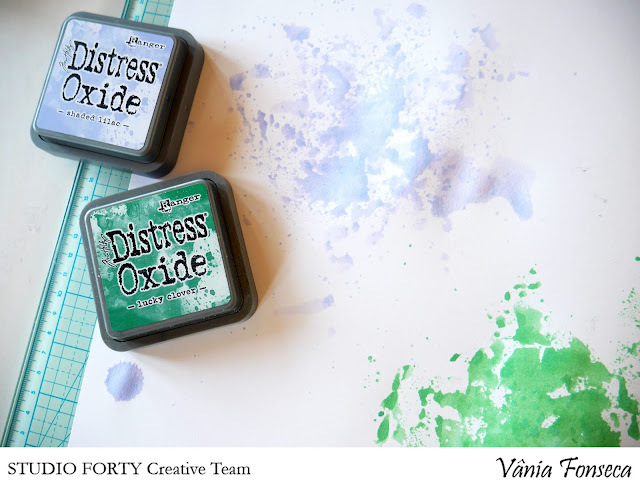 With my leave ready it´s time to make my background, so i grabbed some distress oxide and voilá, i´m using this two diferent colors, that match the colors on the leave pattern that i choose to backed my cut file. When it dried i stamped a couple of mushrooms, the trunk and add some stickers following the leave shape. Also add the wood word "memories" to my page title. 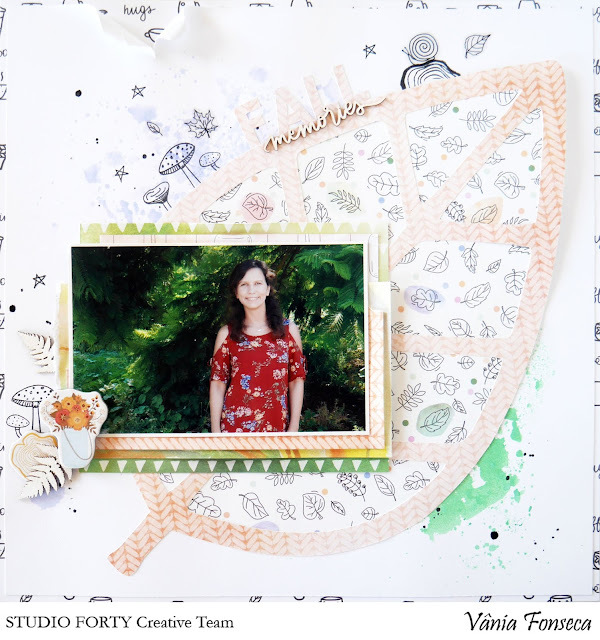 To create more interest and make my photo stand out i backed it with diferent patterned paper and embellish one of the corners with wood shapes and chipboard pieces. 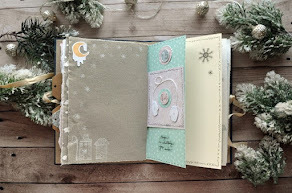 For my second project i made a card with the Fairy Tales stamp set. 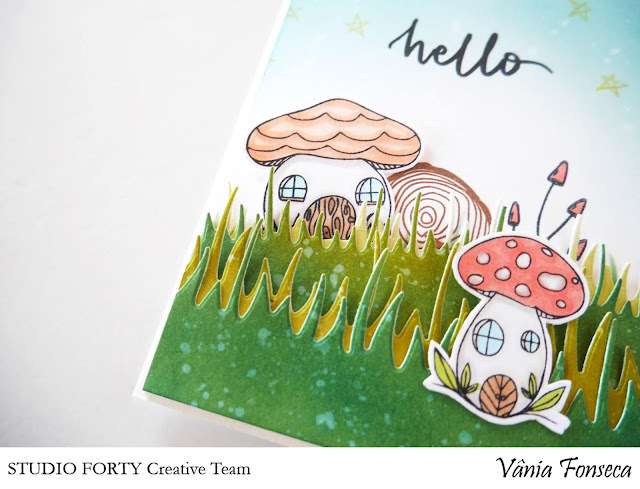 It´s been a while since the last time that i made a card, but who can resist to play with this little mushroom houses? 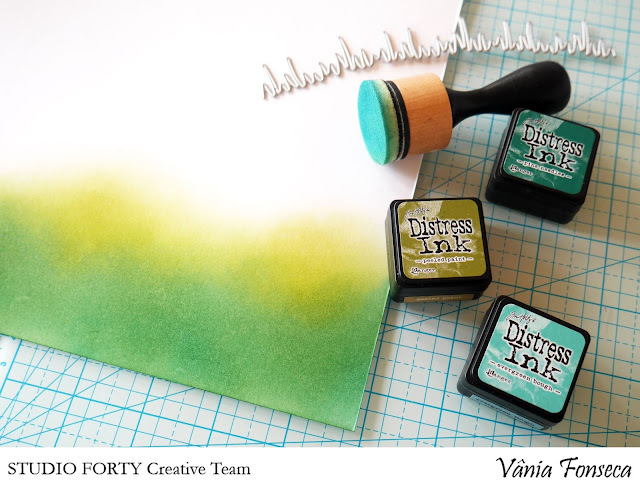 Again i´ve started with my distress ink. 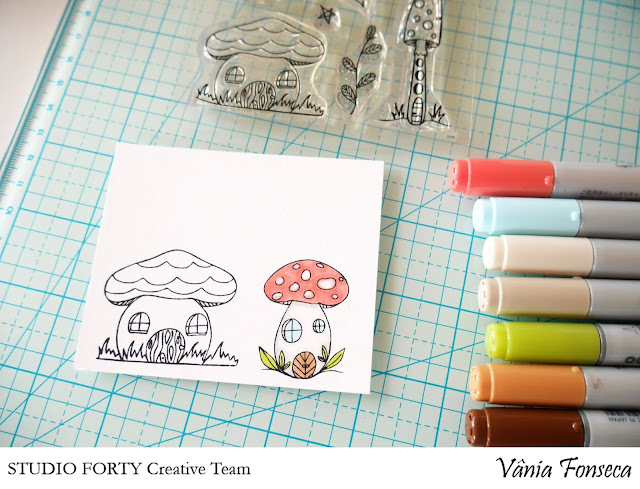 I´m using three different colors to add more contrast to my grass. Run it through my die cut machine and then sprinkle a few drops of water to remove the paint in some places. Stamped the little mushroom houses with memento ink so i can have some fun with my copic markers. 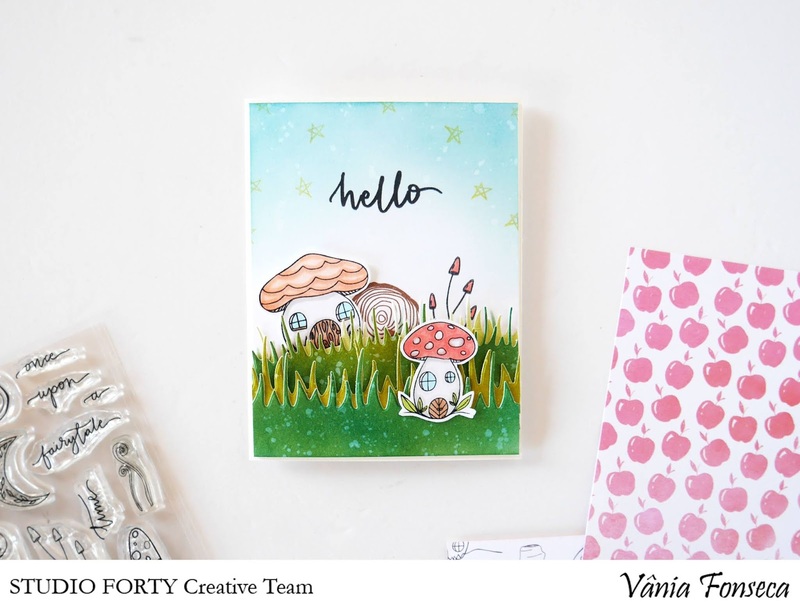 With my coloring done it´s time to cut the mushroom houses and add them to the little scenery, creating a little bit of dimension and stamped a simple "hello" from the Magic stamp set. Thanks for watching! Below are the links to all the products that i use in both projects.